A generous donation will support Indigenous and distance students at the University of Regina’s Levene Graduate School of Business. Thanks to Kenneth Levene’s generous support Indigenous and distance students will see improved opportunities to participate in the Levene Graduate School of Business. The total funding provided by Levene in sponsoring these initiatives is $100,000 and it is being matched by the University of Regina. Dr. Kenneth Levene and Dr. Vianne Timmons, President and Vice-Chancellor, University of Regina. Photo credit: University of Regina Photography. 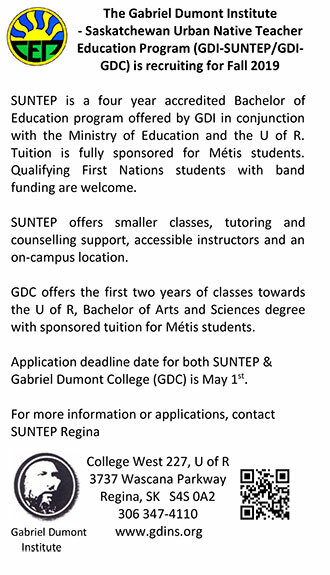 The Indigenous Pathway initiative will aid Indigenous students who have completed high school and are pursuing a post-secondary education or who have completed an undergraduate degree and want to pursue graduate level education. Programming will be tailored specifically to Indigenous students and will include networking and community building opportunities as well as scholarships. The initiative recognizes all Canadians benefit from the economic impact of robust and successful Indigenous businesses. The Kenneth Levene Streaming Studio will feature state of the art, interactive distance technology allowing the Levene Graduate School program to be accessible to distance students across the province, nationally and globally. The studio will also enhance awareness and facilitate enrollment in the Levene Graduate School.